DIY (do it yourself) is all the rage right now! There are more and more television shows about crafting and videos are all over Facebook. The hub for all of these design projects is, of course, Pinterest. Started in early 2010, this social media platform has since grown to over 110 million monthly users across the globe, according to LinkedIn. The pins, which often link to websites, are about topics from fashion, to recipes, to gardening and home decor with everything in between. One of the biggest uses for Pinterest is DIY projects. From big to small and quick to time consuming, they have it all! Claiborne & Churchill recently created our own Pinterest page! 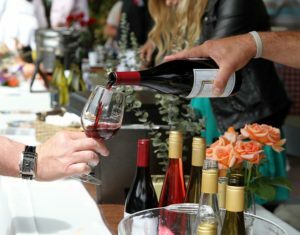 It is growing with recipe ideas, pairing options, wine gifts, and, of course, DIYs! We encourage you to follow us and stay updated with all the fun ideas Pinterest has to offer! 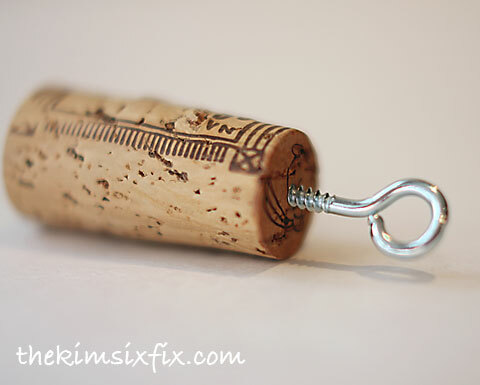 Make your own wine cork key chain! Use the cork from your last bottle of Claiborne and Churchill red. Twist a screw eye into the bottom of the cork and you’re done! A bonus with this craft is it floats! Put those corks to good use! Keep your cords straight with this quick tutorial. 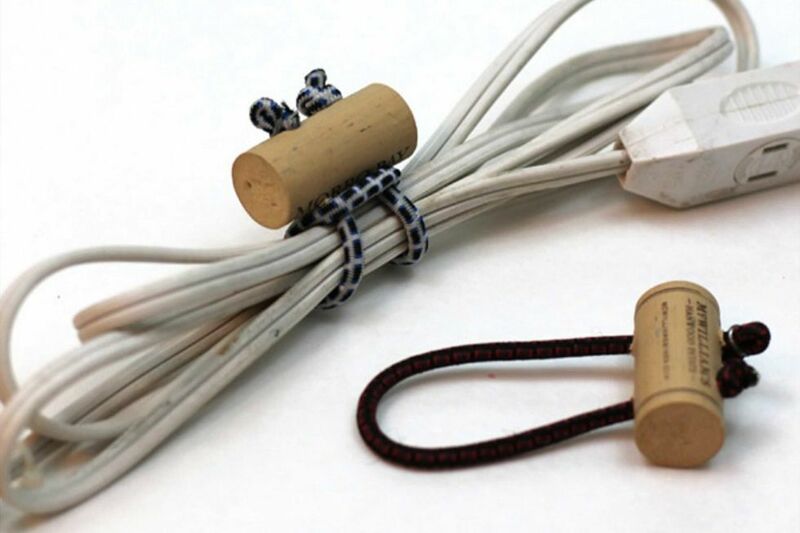 All you need is a cork and bungee cord! 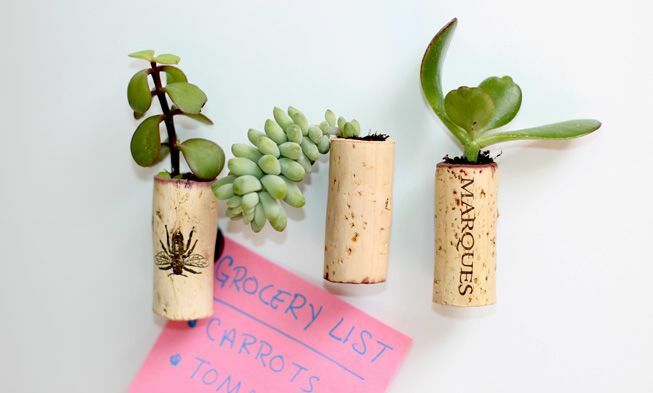 Corks are the perfect holder for a succulent! Hollow out the end of a cork then plant a clipping inside it. Then glue a magnet to the side and you’re ready! 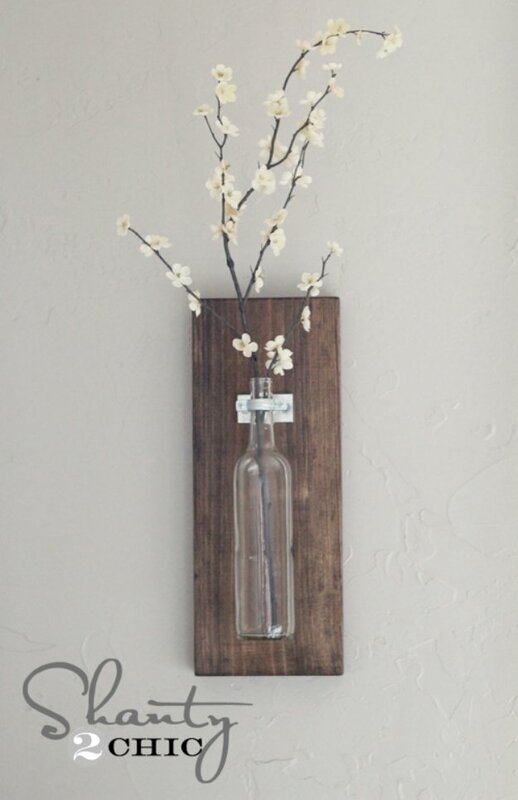 Put one of your empty bottles to work! 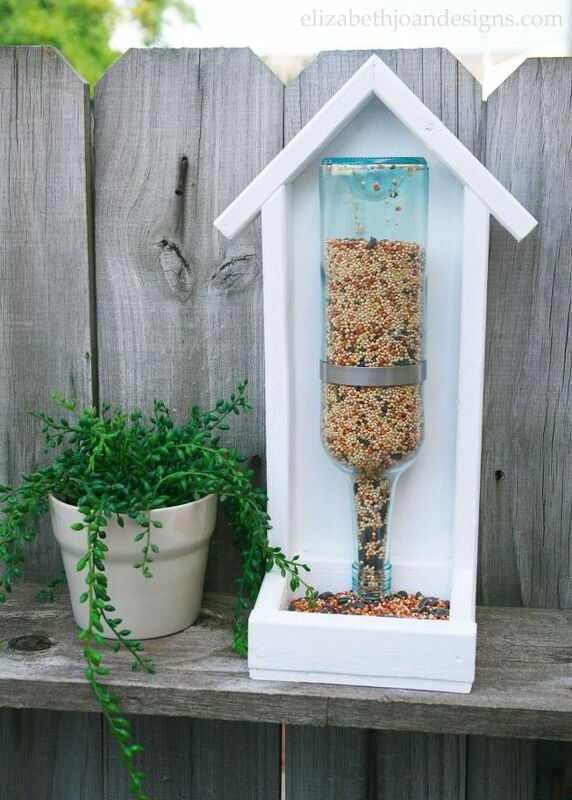 With a little wood working knowledge you can make this bird feeder for your backyard and garden. Make some cute wall decor! This project will only take you less than half an hour to create and will look great with some flowers inside. 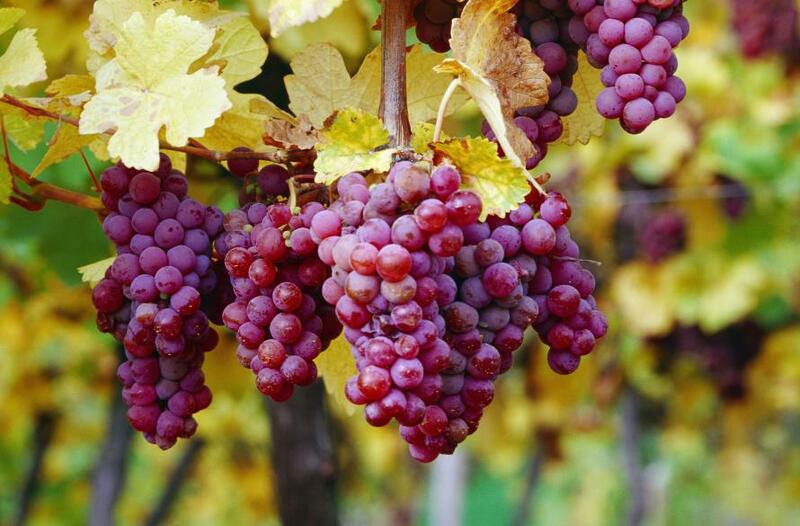 Follow our Pinterest page for more craft ideas along with recipes, vineyard photos, and wine gifts! In early August, 1981, I gave up a tenured professorship at the University of Michigan to move to California and start work as a “Cellar Rat” in a local winery, for $6 an hour. Fredericka and I had married on August 6th took Amtrak from Ann Arbor to San Luis Obispo, arriving just in time for one of the earliest harvests in history. The Pinot Noir crush started during the second week of August, and I quickly learned that I had severely underestimated my fitness level. 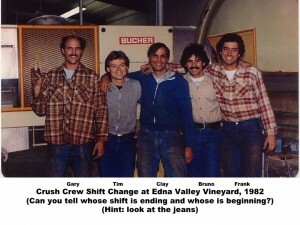 Crush work at Edna Valley in those days was extremely labor intensive; within a month I had lost fifteen pounds and gained a nice layer of callouses all over my hands. At the end of each 14-hour day I would return to our little apartment on Higuera Street ($330/month) sore and exhausted. Regrettably, I did not keep a diary of those early days. It was abundantly clear that I could not both DO the job and also REFLECT upon it. It was one or the other. I had burnt all my bridges, and I had to succeed in my new career. I had never been happier in my life. 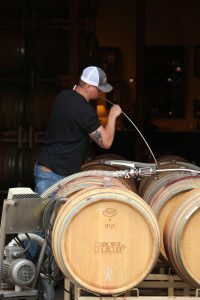 Working in the “wine business” was a breath of fresh air after the stale and stultifying atmosphere of the university. Here I found co-workers who reveled in hard work, who supported each other at all times, and whose satisfaction came from creating a product of the highest quality. I hasten to add also that it was a heck-of-a-lot of fun. The camaraderie, the horse-play, the pranking, the unrepeatable bad jokes: there was an esprit de corps I have never experienced before or since. 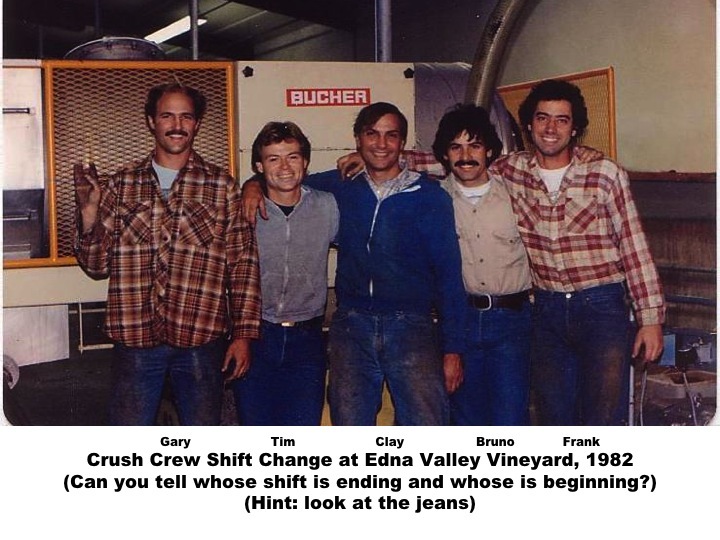 In 1983, after two years of cellar work, crush and bottling, laboratory and even sales experience, it was time to take stock of my new “career.” I was never really on a track towards the title of “winemaker,” usually reserved for those who studied the subject at U.C. Davis. 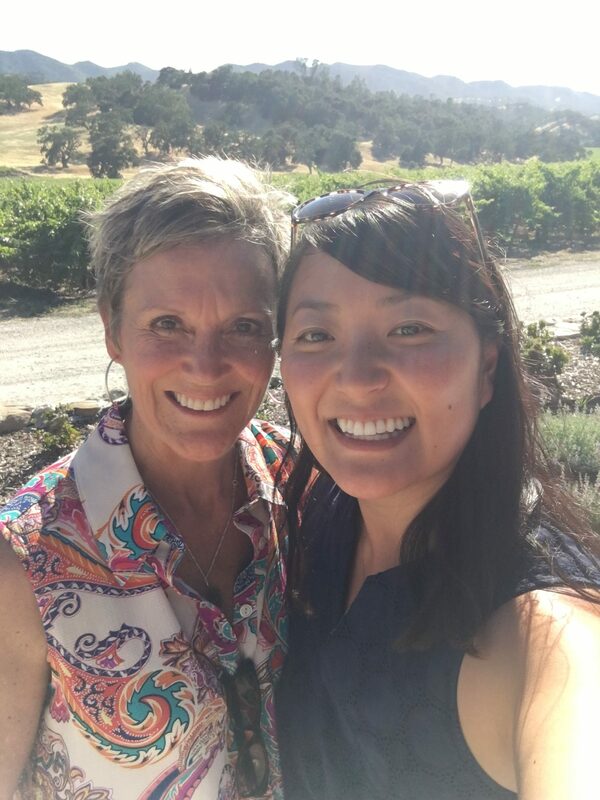 For a while it looked like I might be groomed to sell wine for Edna Valley and its parent, Chalone. 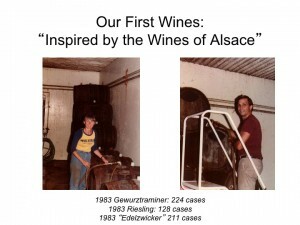 In those days the advice was to make not wine that you liked, but that the market liked. 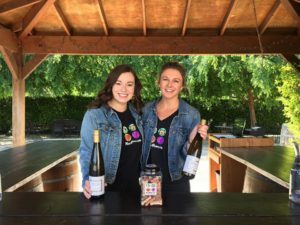 “Make Chardonnay and Cabernet and hire a pretty girl” was the mantra. Fredericka and I rejected this idea. 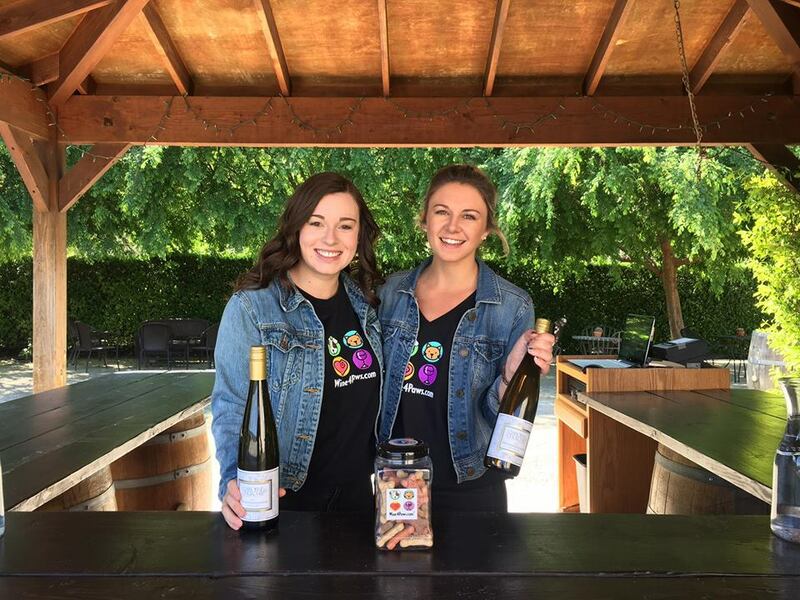 Through our experience in western Germany and eastern France we had developed a love of the dry, fruity and well-structured Rieslings and Gewurztraminers of Alsace. 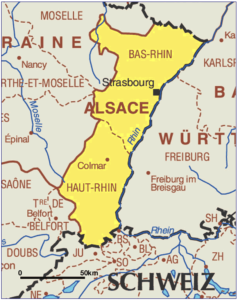 In the summer of 1983 we flew to Europe, took a train to the town of Barr at the northern end of the Alsatian “Route du Vin”, and back-packed southward through the vineyards and wine villages, sampling the wine and food and visiting and talking to the vintners themselves. 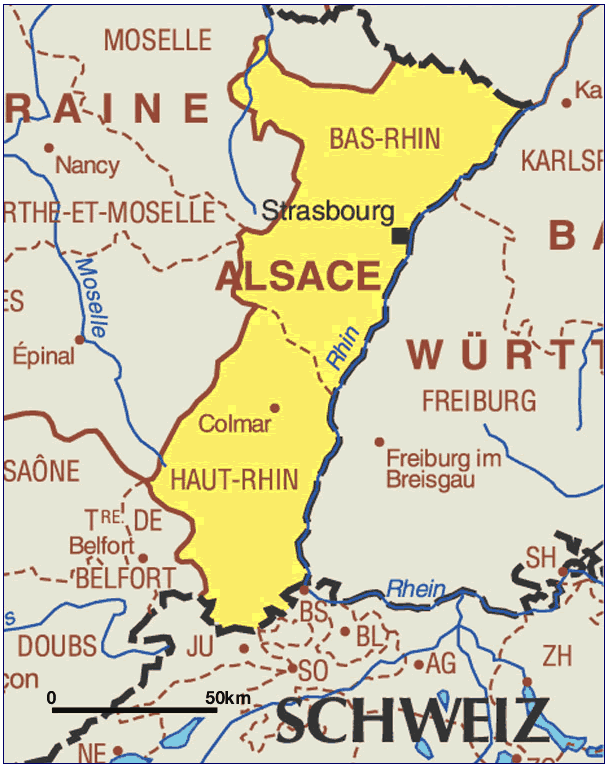 We returned eager to make wines inspired by the wines of Alsace. Still, we had no winery and no money. 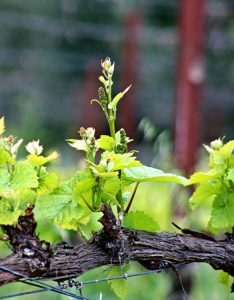 Happily, we were able to borrow a little from relatives, and then received permission from Chalone to start our wine production in a small corner of the cellar at Edna Valley Vineyard. In the fall of 1983 we bought 30 used barrels and eight and a half tons of grapes and produced 563 cases of barrel-fermented, dry wines: 224 cases of Dry Gewurztraminer, 128 cases of Dry Riesling, and 211 cases of a blend of the two, which we called “Edelzwicker” after the Alsatian name.